Top importers of Papaya fruits! 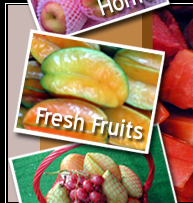 Efreshfruit is a noteworthy and reliable platform where you can place papaya fruit order through the official website of Hock Hoe Hin Pte. 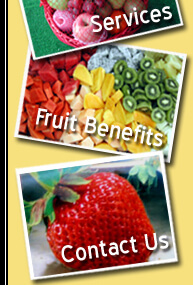 Ltd. Papaya Supplier Singapore wholesale is specialized in distribution of papaya across singapore. Papaya is native to tropical regions due to favorable climatic conditions for its growth. It is sometimes referred to as either ‘Papaws’ or ‘Paw paws’. The sugary taste, exotic colors and plenty of healthy benefits makes them one of the most popular and preferred fruits amongst the residents of Singapore city. Papaya Supplier Singapore wholesale distributes large quantities of papaya to the people living in and around the city. Furthermore, they offer these fruits to the employees of their firm to boost the productivity and promote a healthy life. Papaya Supplier Singapore wholesale deals in the supply of papaya across the globe at unmatchable rates. There is no dearth in the availability of this fruit since it is available almost every time in a year. One of the major health benefits of consuming Papaya is that it helps in reducing the risk of heart diseases, strokes, smooth digestion process, regulating blood glucose level and bringing down the blood pressure. It is also helpful in healing the wounds in a quick and effective manner. An anti-oxidant named ‘Zeaxanthin’ contained in Papaya helps in filtering out poisonous blue right rays. It is one of the sought after fruit since it is useful to improve our eye vision and ultimately evading the development of Macula degeneration. Studies have shown that a larger intake of this type of fruit would help in reducing the stakes of age-related macular degeneration. Those people who consume a greater quantity of nutrient rich diets do not suffer from asthma. The presence of beta-carotene in Papaya, broccoli and apricots are just to name a few. The anti-oxidant beta-carotene is known to ward-off deadly diseases like cancer. It acts as a protective agent against the development of prostate cancer in younger people. These findings were recently published in a journal. Lesser intakes of Vitamin K might increase the stakes of bone fracture. Therefore, excess consumption of Vitamin K is suggested to improve overall health. In addition, it helps in improving the absorption of calcium and reduction of urinary excretion. An adequate quantity of calcium in our body is essential to strengthen the bones. • A statement released by the Food and Agriculture of the United Nations, revealed the fact the largest producer of papayas is India. It accounts to nearly five million tons back in the year 2013. • Papayas are used in culinary applications such as salad. Hock Hoe Hin Pte. Ltd tops the list when it comes to supply of papaya fruit in Singapore.